Traditionally in the UK people aspire to buy rather than rent their home. Presumably the fact that an Englishman’s home is his castle means we want have some stake in it rather than paying a landlord. But for a long time our European neighbours have had no problem with renting rather than buying. And, judging by healthy state of the lettings market, it would seem that in attitude we are slowly following suit. In addition, the increasingly restless population doesn’t always find itself in a position to buy. The need for job mobility, rising divorce rates and legislation that no longer favours the tenant means that renting becoming an ever more realistic option for more people. Basically, the property lettings market is on the up and as a franchisee you could potentially take advantage of this trend. Are homes where your heart is? Read on to find out. All of the featured franchises, Belvoir Property Management, Castle Estates and Martin & Co, offer both lettings and property management. If you just deal in lettings, the landlord will manage the property and be responsible for repairs while you will be paid a finder’s fee. A letting agent advertises for landlords, one replies and an appraisal is carried out. Checks are made on the house and the agent decides whether to let it or not – if they do, it is prepared for letting. They advertise for tenants and arrange viewings. Someone accepts, credit checks are run, the tenant moves in and everyone gets paid. At its most simplistic, that is the role of the lettings agent. It is obviously a lot more varied than that and with a hundred potential challenges along the way, it will rarely be this simple. But if you do decide to take up a property franchise this will be the bare bones of the job. The first couple of years of the franchise will be about building up your portfolio of properties, building relationships with landlords and then filling the premises with tenants. The aim is to build up the number of properties that you actually manage rather than just fill for landlords. But initially you will have to get what work you can make a name for yourself. Advertising in the local press and in the yellow pages is the expensive but necessary route to spreading word about your agency. None of the franchisors stipulate that you have to have any experience in the property industry. Although several of the franchisees mentioned that they had found it advantageous when setting up. Most franchisees start from home. This cuts your overheads because you won’t be paying expensive office rent but there could be the disadvantage of having strangers in your home. Twenty-five isn’t a magic number, it is simply the point at which he won’t be able to cope on his own and will need to take on staff – and therefore an outside office. Most move into premises after two to three years when the business will have expanded beyond the confines of the home office. But you need to be ready because it’s a big investment. A shop in London could require working capital of £20,000 to £30,000 for premises and staff – though this is the top end. Barry has been a franchisee for four years and now only deals in property management as his business is well established. But it demonstrates that the advertising costs are an ongoing cost. By the end of the first year all three franchisors estimate an income of £50,000 upwards. This is dependent on you building up a significant portfolio of properties, in the region of 75-100 is a rough guideline. The average rent for a property in the UK is £435 a month. Of this anything between 10% and 15% goes to you and the rest to the landlord. This is not a get rich quick business though. Once you have some properties on the books, you can start to take on more and more managed properties and then make money out of other services. These can include commission and consultancy fees on insurance, finance and property purchases. For example, you might help arrange insurance cover on a newly-let property with an affiliated insurer. You then take a percentage for providing the business. It’s also a good idea to have a team of reliable affiliated maintenance staff. If you are managing a property, you will be responsible for seeing that repairs are carried out. You won’t pay for them – the landlord will probably have to approve higher cost repairs – but you will have to make sure they are done well. Once established, a third of your income is likely to come from extras such as selling building insurance and percentages of the fees from plumbers and so on. Property management is a cash-rich business in that you don’t issue invoices and wait for the payments to come in. You simply deduct your charges directly from the rent coming in and forward the balance to the client. If you aim for one area of the market to the exclusion of all others, you run the risk of not making the most out of your area or building up a full portfolio. Aiming for the top end of deluxe, detached cottages will be more lucrative but it’s important not to neglect the lower end of the market if it can help get the properties on your books. But it is worth specifying minimum standards. 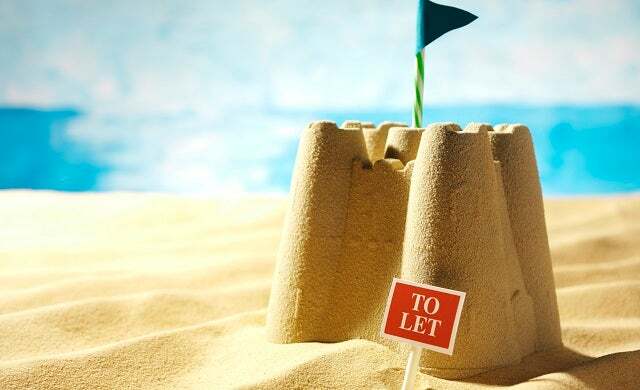 Peter Broomhead of Castle Estates in Battle maintains that bedsits and student type accommodation are not worth the hassle for the little money they bring in. Be wary of not following procedure in the correct order. For example, if you pay to run credit checks on a tenant before getting any kind of deposit, you run the risk of them disappearing and leaving you out of pocket. You will also have to start the whole process again from scratch. And contrary to what you might think, having competitors in your area is a good thing. A town with few properties to let doesn’t need letting agents. An active market is usually a healthy market. People will often go into an estate agent and ask about lettings only to be turned away because they only deal in sales. Arranging a reciprocal agreement with a high street agency that they will send you clients they can’t help if you do the same can be very handy for business. You might also be able to advertise in their publication thus gaining access to a high street clientele without the expense of high street premises. Recommendations and word of mouth are the best free advertising you can get particularly when trying to get new landlords on your books. Keep them happy and build up a good relationship with them. Happy landlords and tenants will tell their friends and families what a great agent you are and recommend your services. Keep in touch with both landlords and tenants on a regular basis. This means giving progress reports to landlords and arranging with the tenants to visit the property regularly. One franchisee visits properties once a quarter to check everything is all right with the house and its occupants. Sending Christmas cards and reasonably regular letters could be a good way of keeping you at the forefront of their minds. You don’t want to be constantly on their backs but it is important to make sure that everyone’s needs – yours included – are being serviced. The property market isn’t just about having a liking for nosing around houses you will need to build up knowledge of the industry. But your own instincts are your most important attributes. If you judge each property on whether you would like to live in it yourself, you should steer clear of taking on dud premises and make an effective salesman to potential tenants. Which will hopefully leave you home and dry.